Discover + meet 60 talented makers + shakers at The Makers & Shakers market at Marrickville Townhall in Sydney’s Inner West. I'll have a sneak peek of new Summer range of fabrics as well as all the old favourites sold by the panel. And making beautiful gifts, are my hand printed tea towels + beautiful napkin sets. YOU ARE BRAVE will be at the Finders Keepers market in Sydney this May. Come say "Hello" ... I'll be in the Newbie section ... and it'll be great to see a friendly face! As part of the Makerspace & Co group stand, YOU ARE BRAVE will be at the Finders Keepers market in Sydney this December. Come say "Hello" to the team of makers + staff who work out of the mighty Makerspace & Co building in Marrickville. And perhaps pick up a unique, handmade Christmas gift or 2? YOU ARE BRAVE is having a Pop Up at West Elm Bondi Junction for 2 days from Sat 2 - Sun 3 Dec.
Meet this maker at The Makers & Shakers at the Albert Hall in Canberra on Sat 4 November '17. I'll have my newly designed tea towels + eco-friendly cosy pots on offer. I'll also be taking orders for your Christmas table linens (table runners + napkins). The market for people who care how things are made, where they come from & how what they're made of is on again in Sydney. All local & handmade products & food in a curated, indoor & very beautiful, relaxed setting at Marrickville Townhall. Come say hello ... I'll be there! 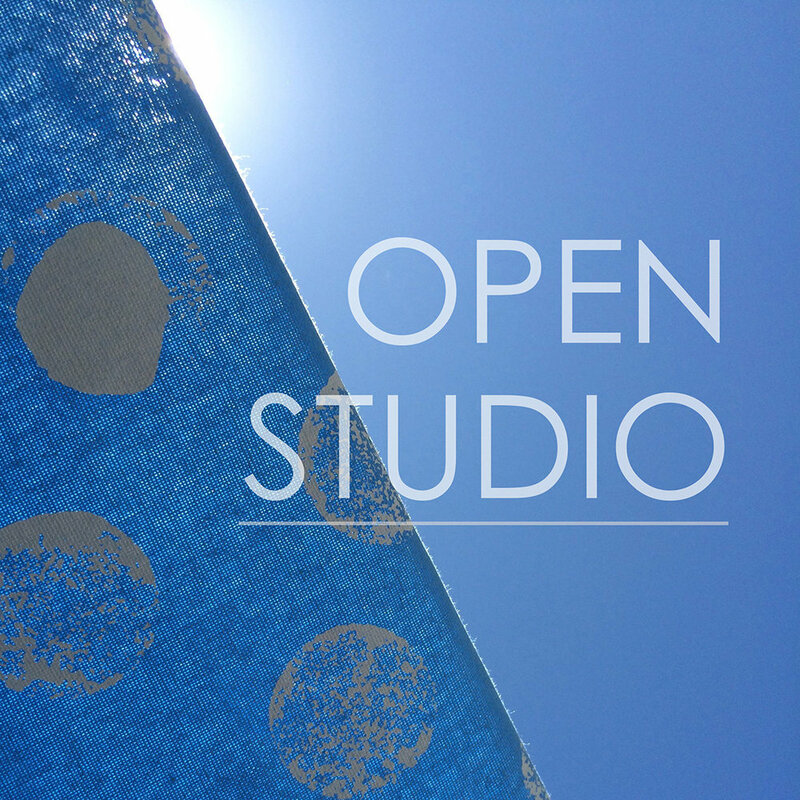 Last minute shoppers, browsers & sticky beaks are very welcome at my studio open days in December. Head to Marrickville in Sydney's inner west every Saturday to browse the shelves at my new studio. Located within the Makerspace & Co building at 1/17 Barclay Rd Marrickville. Looking forward to catching up with you & sharing a cuppa! I'm thrilled to have been invited to COMMUNE Locally Made. This is a boutique market focusing on Sydney's Inner West makers & will be on Sunday 4th December 2016. The ETSY Made Local Sydney team are having their annual Christmas market will be on Sat 19th November 2016. Over on Instagram, this week YOU ARE BRAVE released "Everyday Exotica". The new range. A new month also means a new blog release & this week I was thrilled to announce the artist I interviewed at her funky inner west home, Reiko Azuma. She's one multi talented, inspiring artist! Also on "The Gram", I got back to my New Years resolution to draw more which was put aside for a while as I prepared for Handmade Canberra a few weekends ago. A new market in Sydney from the organisers of Round She Goes. 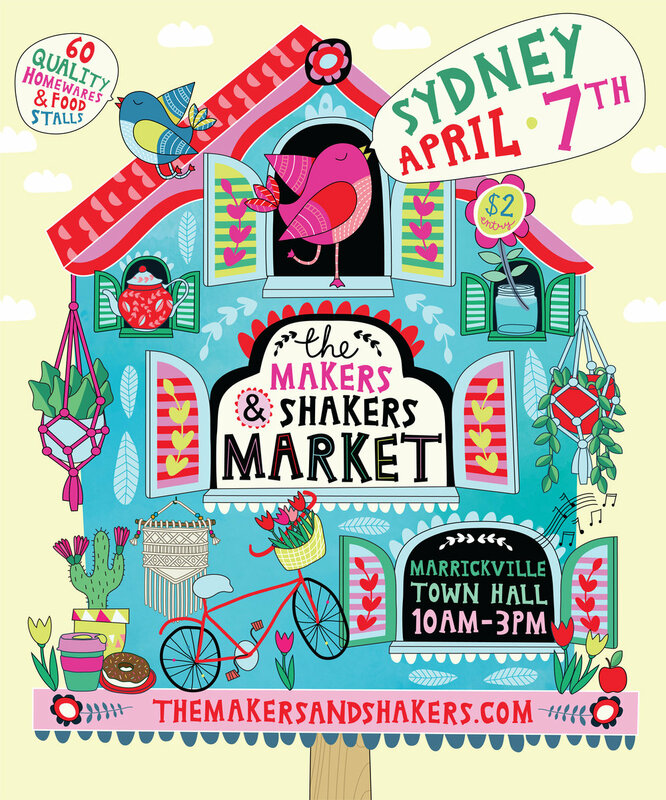 The Makers and Shakers Market is an indoor, curated event that brings together people who care about where things come from, how things are made and what they are made of. Whether it’s homewares, furniture, food, flowers, stationery or photography – The Makers and Shakers Market aim is to give makers an affordable and fun place to show and sell their wares and for shoppers to have a awesome day out, as well as pick up some wonderful new treasures along the way. The "Epic" Handmade Canberra Market happens only 4 times a year & this is YOU ARE BRAVE's first time trading at this esteemed market. It happens over 2 days of the long weekend in Canberra, our nation's capital & boy am I looking forward to it! If you are in the vaccinity the weekend of 12-13th March, head over to Epic Park. It's free & all indoors! Open from Sat 12th to Sun 10am - 4pm. Looking forward to experiencing a Sydney Spring market right near the beautiful harbour with the Harbour Bridge & Luna Park as a backdrop. I'll be at Kirribilli Art & Design Market on Sunday 13th September. Come find me in the Burton Street tunnel if you're in the area.